Primary Care experts, committed to improvement and transformation. AT Medics is a multi-award winning, largest provider of Primary Care services to the NHS in England. We were founded in 2004 by six GP Directors, and are now spread across 16 London CCG areas, caring for over 270,000 patients across 42 Primary Care sites, including extended access services and GP Hubs. where to buy Autodesk AutoCAD 2009 Our mission is to improve the lives of our patients through improving healthcare. We focus on delivering world-class primary care, supported by prodigious education and innovative technology, made bespoke for primary care. We are a GP-led organisation, with quality improvement, multi-professional working and innovation at the heart of what we do. Our family consists of over 700 members, across the whole spectrum of primary care workforce, and we are accredited by Investors in People. Focused on high quality clinical care, teaching and training, we have a proven track record in rapid mobilisation of clinical services and extensive experience in clinical turnaround where governance issues exist, resulting in an unmatched reputation for clinical improvement. Our portfolio includes eight practices achieving the RCGP Quality Practice Award – the highest award in UK General Practice. Only 16 GP Practices in London have achieved the coveted accolade of “Outstanding” rating by the Care Quality Commission. Four of these practices are AT Medics. AT Medics was established by a group of innovative GPs who sensed the changing times of Primary Care within the NHS before most of their peers. We believes that success lies in meeting and exceeding the expectations of patients and commissioners, and we are committed to this end. AT Medics holds more than a decade of success in entering new healthcare economies and integrating with the existing healthcare, social care and voluntary sector providers. We deliver bespoke training and education programmes, with 20 Postgraduate Medical Training Sites and the largest network of GP Training practices in London. Susan is the CEO of AT Medics, reporting directly to and advising the Board of Directors. As CEO, Susan also leads the Senior Management Team, comprising of operational and corporate managers, driving quality and change programmes through the organisation. Susan was previously Director of Strategy at West Middlesex University Hospital where she led on the Trust merger with Chelsea and Westminster Hospital and cross sector reconfiguration. 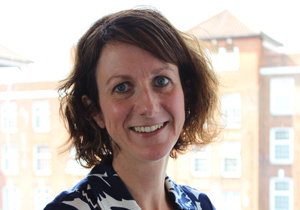 Susan has held senior roles across the acute and commissioning sector, including as Deputy Director in the North West London-wide Strategy and Transformation team. Susan has also led the NWL Integrated Care Pilot directing cross provider care delivery models. 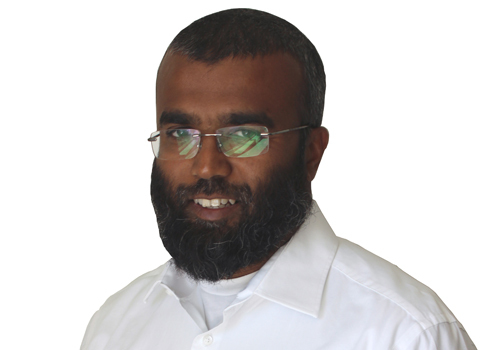 Dr Tahir has significant experience in leading and delivering highly innovative transformation in extremely challenging situations. 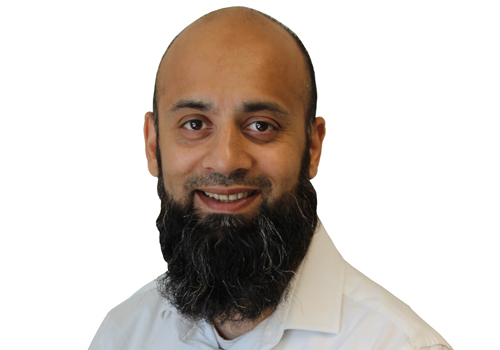 His journey as an innovator started in 2005 when he co-founded AT Medics and he is now the CCIO (Chief Clinical Information Officer) for AT Medics, AT Tech and AT Learning, and the Medical Director for AT Medics North and West London practices. He has held posts in integrated care including the Clinical Director of the North West London Whole Systems Integrated Care Programme. 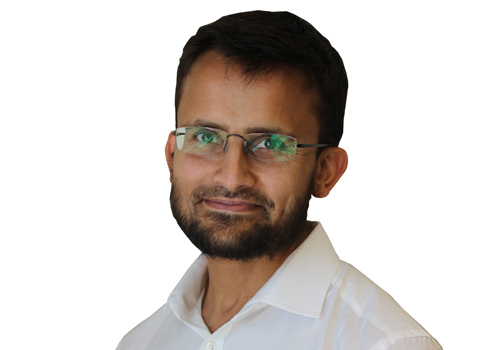 He is an experienced GP specialist trainer for the London Specialty School of General Practice and has successfully mentored both GPs and GP “trainees in difficulty”. He is an Honorary Senior Research Fellow at the University of Surrey (Healthcare Management & Policy) and a Health Foundation Quality Improvement Fellow. He is also Faculty International Development Lead for the North West London RCGP Faculty, and is a Fellow of the RCGP. 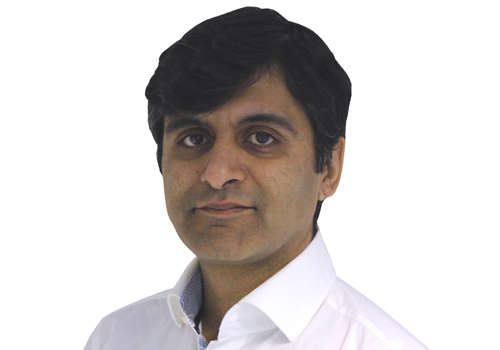 Dr Choudhry graduated from St. Georges, University of London in ‎1998 and completed his GP training in 2003 in Surrey. He travelled to remote and rural Australia after this as part of the Programme for Aboriginal Health. Following this he completed a short service commission as a Medical Officer in the Royal Air Force. Since then he has become a GP trainer, a GP appraiser and is an honorary lecturer at St. Georges, University of London with an interest in prescribing, and he is a published author on medical prescribing. He has developed practical expertise in minor surgery, joint injections, acupuncture, circumcisions, plastics and aesthetic procedures. Dr Choudhry is qualified in Occupational Medicine as well as Mediation. He holds additional posts as Learning Disability Lead in two CCGs in South London and is a faculty board member for SW Thames RCGP. Dr Radwan graduated from St George’s, University of London in 1999 with Distinction, an honour given to the top 5 in each year. He then spent 3 years training in Paediatrics and Neonatal medicine and gained the Membership of the Royal College of Paediatrics and Child Health in 2001. He attained his Membership of the Royal College of General Practitioners in 2005 with Distinction. 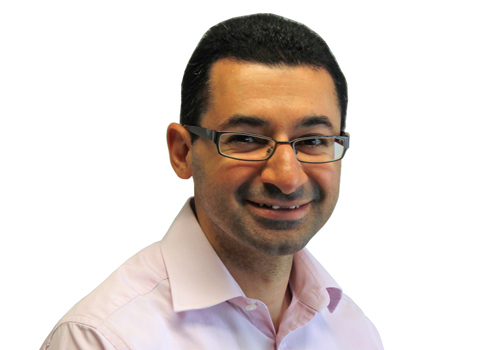 Dr Radwan is an experienced GP specialist trainer for the London Specialty School of General Practice. He has also been a GP Director of SW Lambeth healthcare, he has been instrumental in transforming clinical care in Streatham, Hackney and Whitechapel and was awarded GP trainer of the year 2009 by Kings College Hospital. His specific interests are paediatrics, cardiovascular disease and diabetes. Dr Abbasi graduated from St. George’s, University of London gaining a Merit Award for “Outstanding Performance” in Medical MB finals. He attained Membership to the Royal College of General Practitioners with Merit Award in 2005. He is Joint Clinical Lead Director in East and South East London and is the Finance Lead for AT Medics as well as being involved with GP Leadership Development. 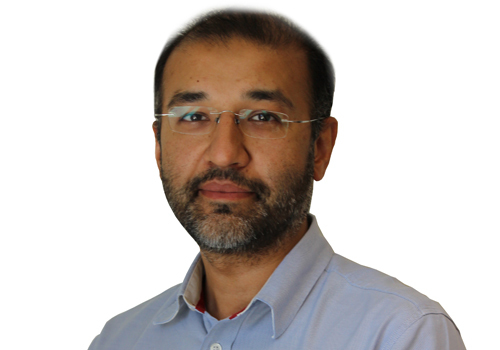 Dr Abbasi is an experienced GP specialist trainer for the London Specialty School of General Practice and he also supervises and assesses undergraduate students at St. George’s, University of London. He was elected by Lambeth GPs to the CCG governing body and chairs the Primary Care Development Programme. Dr Abbasi has successfully led the pan-Lambeth Federation bid for the Prime Minister’s Challenge Fund, securing £3.5mil for Lambeth residents. He is now Joint Chair of the steering group leading extended access implementation in Lambeth. Dr Lebbe graduated from St. Georges, University of London in 2000. He went on to complete his GP vocational training on the Kettering Scheme. Whilst training Dr Lebbe completed a project on Change Management, supporting AT Medics in its infancy. In 2006, Dr Lebbe attained Membership to the Royal College of General Practitioners. He is an experienced GP trainer for the London School of General Practice on the Croydon Vocational Training Scheme, and he is Clinical Lead for Out Of Hours and Unscheduled Care. Dr Lebbe has significant experience in clinical and organisational turnaround in areas of social deprivation. His interests include addressing health inequalities that arise through socio-economic deprivation and improving safety in healthcare by promoting efficient practice. He also has a Level 2 RCGP Substance Misuse Qualification. AT Medics was formed by a group of GPs who sensed the changing times of primary care within the NHS before most of their peers. Our founding GP Directors studied together at medical school and in early 2003, the vision for AT Medics was established: cinema 4d store to deliver high quality, accessible primary healthcare services in a professional, well-managed learning environment; achieving measurable success at value for money, focused on improving healthcare and improving lives. In 2004, AT Medics took on it’s first challenge; a small, under-performing practice in Mottingham, South East London. The practice had been run by a succession of locum GPs and the list size comprised of just 1,500 patients. AT Medics rapidly transformed the practice, achieving full Quality and Outcomes Framework (QOF) points and implemented a fully computerised system, as well as training and upskilling staff. They received recognition from the Primary Care Trust (now known as Clinical Commissioning Groups), and were nominated for a prestigious award as well as earning praise in GP press. Following this success, AT Medics were approached by Kensington and Chelsea Primary Care Trust in 2005 to procure a failing practice in North Kensington, in one of the most deprived wards in the country. AT Medics was the first organisation in the UK to be awarded an APMS contract when they successfully tendered for the practice, and this was soon followed by an accepted tender to manage Bank House Surgery in Bromley. By 2006, AT Medics were managing seven practices across six regions and in 2007, the GP Directors took a bold and innovative decision to offer extended hours at a number of their practices such as Edith Cavell Surgery in Lambeth, delivering an 8am to 8pm service four days a week – pre-dating the “directed enhanced services” extended hours that the NHS later introduced, and at a time when very few GP practices across the country offered such extended hours. In April 2010, AT Medics began co-managing a Walk-in Centre in Lambeth, highlighted by Healthcare for London as one of five healthcare centres across the capital that exemplify the Polyclinic service model, together with managing a further five GP practices. AT Medics now has more than a decade of success in entering new health care economies and integrating with the existing healthcare, social care and voluntary sector providers, and delivers bespoke training and education programmes, with 20 Postgraduate Medical Training Sites and the largest network of GP Training Practices in London. We now care for over 270,000 patients across over 42 locations in 16 CCGs, and continue to develop innovative systems and processes that deliver efficient and safe practice management. Four out of the 16 London based practices to achieve “Outstanding” CQC ratings are managed by AT Medics. 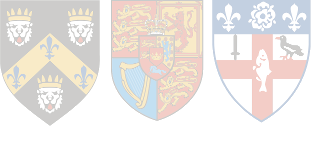 Focused on high quality clinical care, teaching and training, AT Medics has a proven track record in rapid mobilisation of clinical services and extensive experience in clinical turnaround where governance issues exist, resulting in an unmatched reputation for clinical improvement. AT Medics believes that success lies in meeting and exceeding the expectations of patients and commissioners, and is committed to this end.